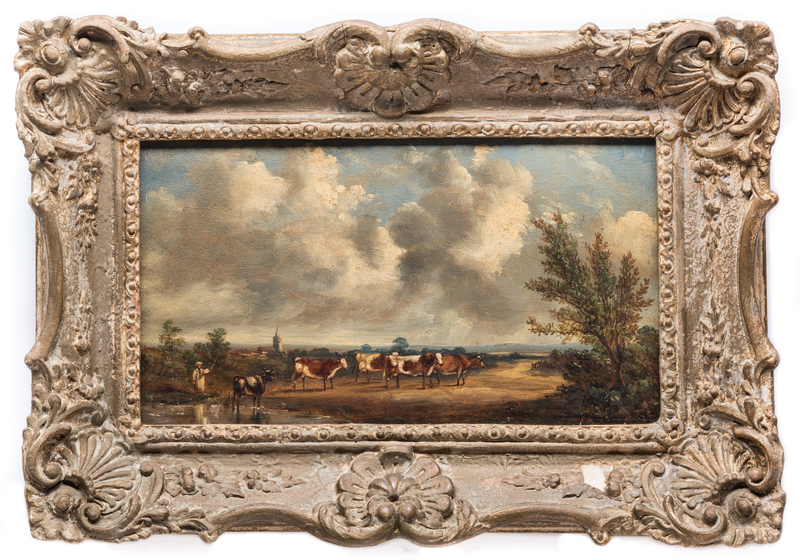 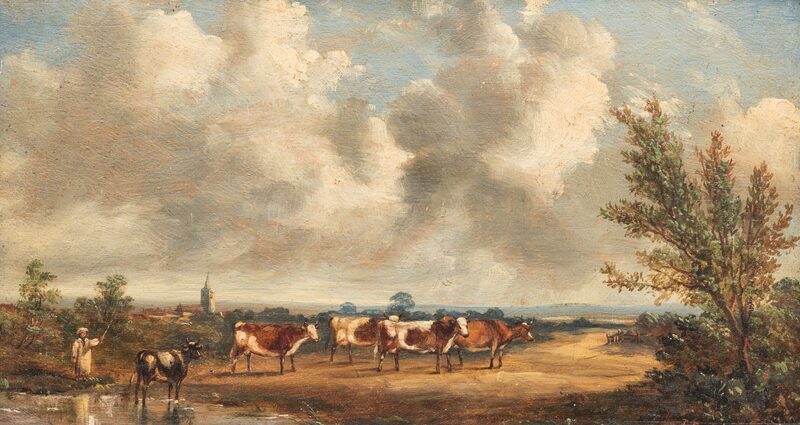 19th century British oil on board landscape depicting a figure watering a group of cows foreground and village in the background. 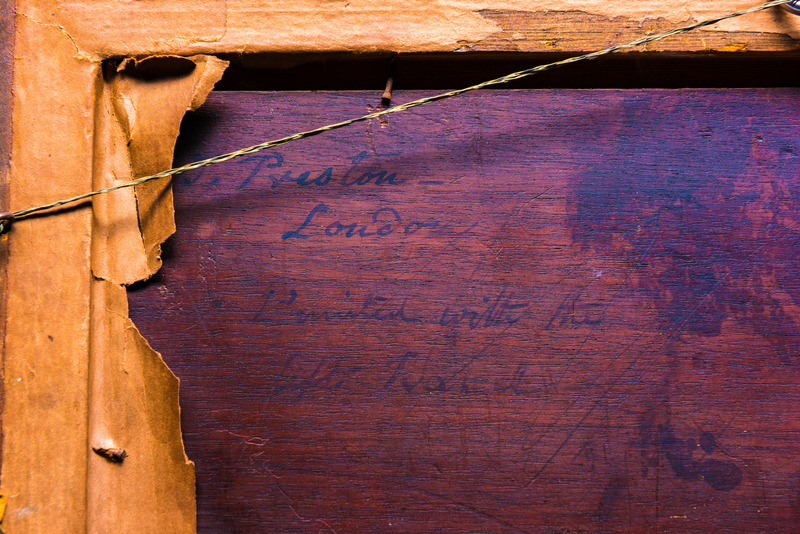 Signed lower right in red, T. Preston (Partially obscured) and signed en verso, T. Preston/ London painted with the left hand. Housed in a carved Louis XIV style gilt frame. 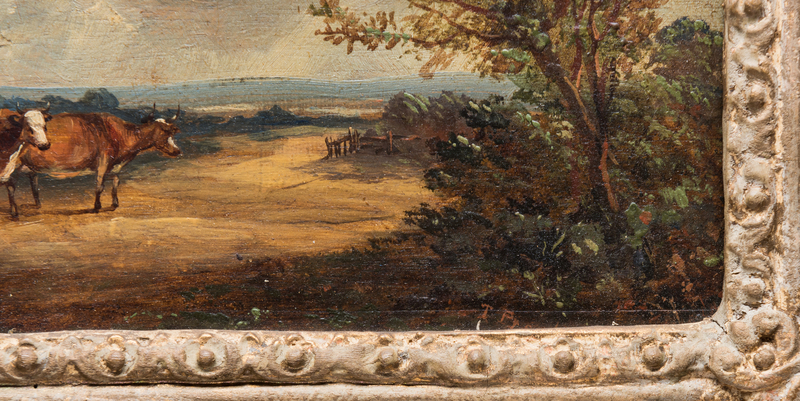 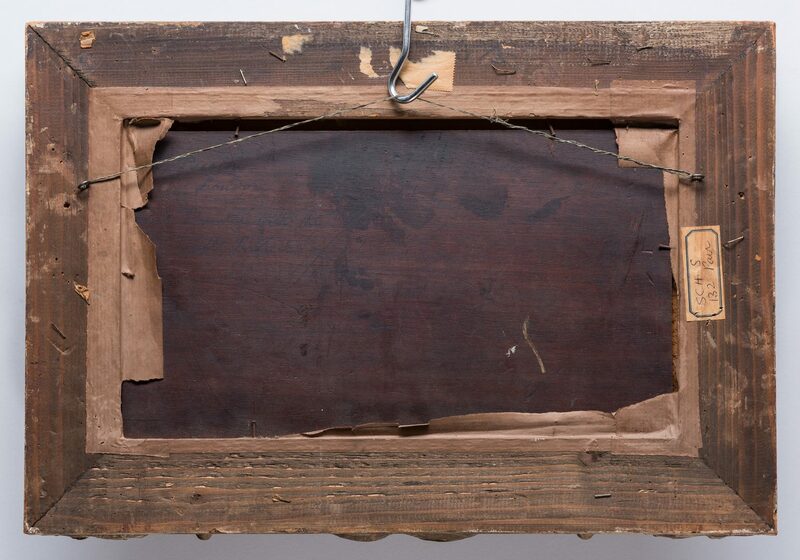 Sight – 7 1/2" H x 13 3/8" W. Framed – 13 1/2" H x 19 1/4" W. CONDITION: Painting has moderate grime and dust to surface overall, 4" horizontal scratch lower left corner. Frame has moderate cracking to frame embellishments on left side and across top, 1" chip on bottom right corner and right side, overall gilt loss.